Your security is of utmost importance to Emsisoft. We are proud of our products and our achievements which is why we are delighted to count another AV-Test seal among many of Emsisoft Anti-Malware’s merits. During May and June 2016, AV-Test continuously evaluated 22 home user security products. They focused on realistic test scenarios and challenged the products against real-world threats. Products had to demonstrate their capabilities using all components and protections layers. This seal includes an added platform to demonstrate the efficiency of Emsisoft Anti-Malware when run on the Windows platform. 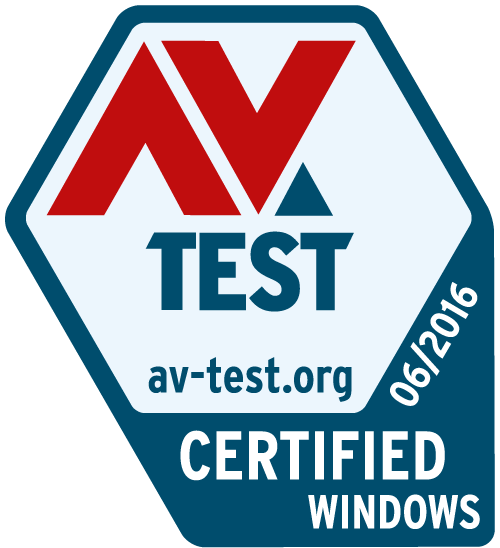 AV-Test is a highly respected and recognised award within the industry and further demonstrates the quality of Emsisoft Anti-Malware. AV-Test trusts our product. You can too. Emsisoft Anti-Malware wins one more VB100 Award!